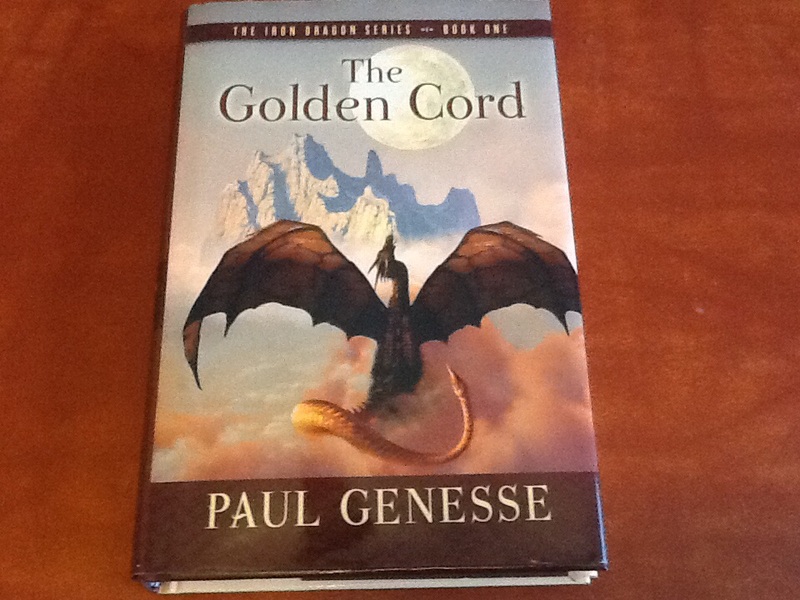 THE GOLDEN CORD is the first book of THE IRON DRAGON series. It follows Drake Bloodstone, a young man haunted by the loss of his best friend, as he leads a pair of Drobin (Dwarf) warrior-priests through the dangerous Thorneclaw Forest. Drake agrees to help the Drobin when they arrive at his human village despite the hatred most there feel toward their race. Drake himself isn’t certain he can trust the pair when he and his two loyal guard dogs embark on their journey. Along the way they must constantly watch the skies for Wyverns, Griffins and other demonic horrors stalking from above without forgetting about land-dwelling monsters and deadly plants on the ground. The Drobins, Bellor and Thor are stalwart warriors seeking ancient papers in a lost mine. Drake and the Drobin learn about each others’ culture and form friendships as they clash with deadly Wingataurs and endure the hardships of the terrain. This was a fun read, complete with compelling characters, which includes Drake’s two dogs who have personalities of their own. It was nice to come across a fantasy novel that isn’t enormous. At 398 pages, it isn’t a huge commitment of time to read. I met Paul at GenCon a few years back. I bought THE GOLDEN CORD, in part, because he was such a good guy. Now that I’ve read it, I’m glad I did and plan to read book two, THE DRAGON HUNTERS. PreviousWillie Meikle, What Are Some of Your Favorite Pieces of Fantasy Fiction? NextDavid T Wilbanks, What Are Some of Your Favorite Pieces of Fantasy Fiction?